Abbott's gain is Dexcom's loss, as Dexcom had previously been BigFoot's partner for glucose monitoring technology. BigFoot Biomedical said it will integrate Abbott's Freestyle Libre glucose monitoring technology into its system. Startup BigFoot Biomedical has landed one of world's biggest medtech companies - Abbott - as a partner in its quest to simplify diabetes care. BigFoot has been working for 15 years to combine a dosing algorithm, software, and different companies' component hardware into a closed-loop system to provide insulin to Type 1 diabetics without the need for fingerstick glucose tests. While good news for both Abbott and BigFoot, the deal is disappointing for another player in the diabetes device space, according to analyst Kyle Rose of Canaccord Genuity. BigFoot had previously partnered with Dexcom for glucose monitoring technology, he noted. "It's hard not to view today's news as a big win for Abbott's Libre," Rose said. "We have been consistently impressed with the BigFoot team and their vision since first meeting the company at ADA in 2015 and have viewed them as a key long-term pump partner for Dexcom." Rose said the loss of BigFoot as a partner is unlikely to fundamentally impact Dexcom over the near term, but he also said investors will probably view it negatively as it eliminates a potentially key pump partner, and provides a strong backing for Abbott's Libre strategy, which has been a focal point of the bear thesis, he said. 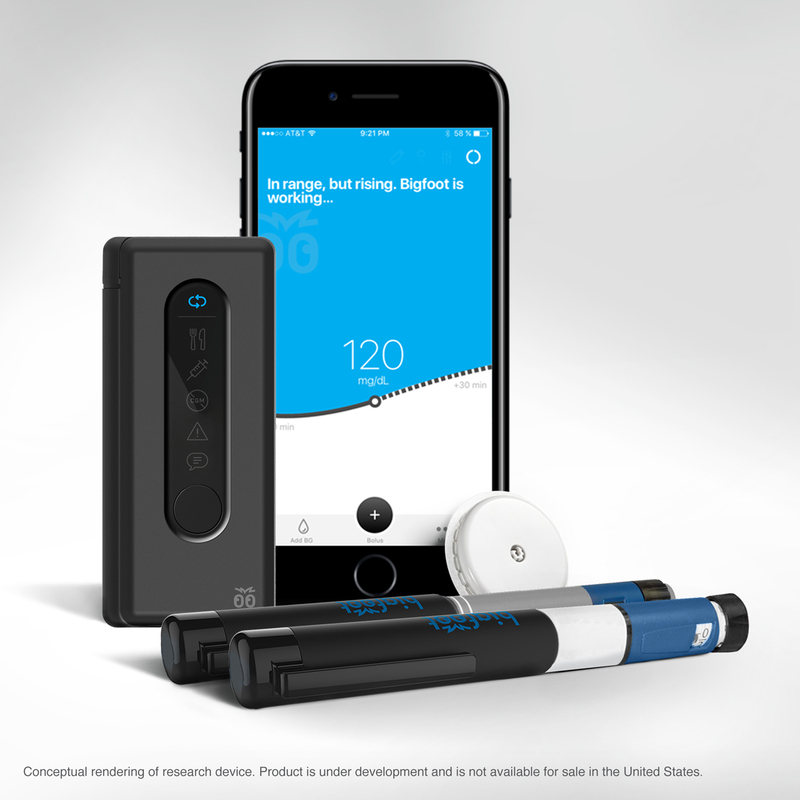 BigFoot recently acquired London-based biotech company Patients Pending, maker of the Timesulin insulin pen timer cap, and its Bluetooth-enabled insulin pen dose-capture technology. Bringing the next generation of Abbott's Freestyle Libre glucose monitor aboard will provide real-time communication of blood glucose levels to insulin users. The two deals put BigFoot in a position to develop insulin delivery solutions in both the infusion pump and injection spaces. The new version of Freestyle Libre will close the loop in automating daily diabetes care, according to Jared Watkin, senior vice president of Abbott for diabetes care. Watkin would not speculate on when this next-gen monitor will debut, and said it would also take time to integrate it into BigFoot's system. Freestyle Libre won the CE Mark in 2014 and is available in 37 countries. Abbott applied for premarket approval from FDA last summer. BigFoot has been looking for the right glucose monitor partner for a couple of years, according to co-founder and CEO Jeffrey Brewer. The company found the Freestyle Libre the easiest to use because it does not require users to perform fingerstick calibration to determine insulin dosage, he said. Abbott Diabetes executives have known Brewer, the former president of the Juvenile Diabetes Research Foundation, for several years. They have also admired BigFoot's work, according to Joel Goldsmith, senior director of Digital Platforms for Abbott Diabetes Care. Most of BigFoot's founding team either has diabetes or has a child with Type 1 diabetes and left other promising careers to pursue this goal. "It's considered one of the more innovative companies in this category," Goldsmith said. "What I find most impressive is the composition of the founding team. They all have been very successful in their respective previous careers and they have this common thread of this very deep personal connection to diabetes." Brewer's son Sean, now 22, was diagnosed with Type 1 diabetes at age seven. Like other young adults, he finds managing his daily insulin dosing a struggle. "We're in the business of helping people to deliver this dangerous drug more easily and safely, in a way that the payers will pay for, so it can get in hands of the most people," Brewer said. BigFoot plans to take the systems for injections and infusion into pivotal trials next year, and then apply for FDA approval. "We're going to go build it," Brewer said. Will BigFoot's systems constitute the long-awaited artificial pancreas? Executives from both companies shied away from the term. "It's less about the pure automation (and) more about knowing when to take insulin and how much to take," Goldsmith explained. "So many people tend to underdose because of the fear of taking too much insulin because it can be life-threatening...That guessing game that people play day in and day out will essentially be eliminated."